ANTONOV 225! Biggest Plane In The World – Much Bigger Than The Airbus A380! - Muscle Cars Zone! ANTONOV 225! Biggest Plane In The World – Much Bigger Than The Airbus A380! The size of the Antonov 225 will definitely leave you speechless! Here are all the details about this flying monster. Human kind has proven many times that it is capable of doing the impossible! The World evolution seems to be a never ending movie which get better and better with every scene. Not long ago, people could not have imagined themselves crossing 100 miles without spending two days at least! Now, we have AIRPLANES! Yes, these big guys made it all happen. Tokyo – New York; Istanbul – Washington; Paris – Beijing; all destinations can be reached in only couple of hours! However, we are not here to tell you what airplanes are, we are sure you are very knowledgeable in the sphere! We would like to present to you the biggest plane in the world – the ANTONOV 225! The plane is also known as Cossack – the NATO report name! Now, what do we know about this amazing aircraft? We know it is bigger than the Airbus A380! That` something right? However, the Antonov 225 is meant to be a strategic cargo aircraft. It was designed by Antonov Bureau which was the USSR design bureau in the 80`s. 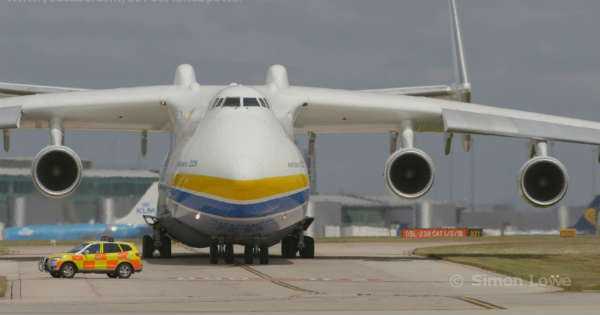 The Antonov 225 has the addition “Mriya” to its name which means DREAM in Ukranian! The thing this one has inside is marvelous. Six turbo fan motors are appointed to give power to this longest and even heaviest airplane that was ever built! It has a great takeoff weight – 650 TONNES! The wingspan is also the largest in the world! Here are some additional facts about the ANTONOV 225! It accommodates a crew of 6, the length is exactly 275 feet and 7 inches, while it has a wingspan of 290 feet! It`s 59 feet tall and weighs 628317 lbs when empty! As we already said, This plane was designed by the Soviet Union in the `80s as a strategic airlift cargo aircraft! This is officially the heaviest and longest airplane ever built powered by 6 turbo-fan engines and max. takeoff weight of 640 tones! This plane was designed by the Soviet Union in the ’80s as a strategic airlift cargo aircraft! This is officially the heaviest and longest airplane ever built powered by 6 turbo-fan engines and max. take off weight of 640 tones!